AcuApp© Free includes 8 free applications to relieve your discomforts, which you can treat with acupressure yourselves immediately after downloading. It gives you an insight into the functionality of AcuApp© Premium (555 applications, € 8,99). 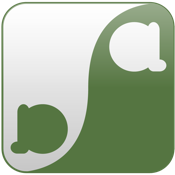 AcuApp© Free is your opportunity to test the application before you decide to use the Premium version. You load AcuApp© Free on your Phone. Enter your disease in the search box above. After that your numbered acupressure point appears. Tap on the point, which is equipped with a photo and an illustration. Below you see the chinese name and the appropriate meridian on which your point is situated. In the box underneath, you’ll find the location of your point. Some points show the measure unit called CUN, which can be accessed separately. The box below shows the treatment techniques, which are highlighted in red and you can click on them to get more detailed information for your self-care. Please stimulate your point on both sides of the body. Particularities of the respective points are indicated. Please touch the pictures to view the exact position of your point on the photo and illustration. In case many points are given please choose the one, which is the most convenient for you at that moment. AcuApp® has been created by Maitri Hillebrecht® and her empirical knowledge of 25 years. It has been developed for people who want to heal themselves or their family and friends. Acupressure is the big sister of acupuncture, because everybody is able to apply it. The only thing you need is this App and your own hands. AcuApp® can be applied comfortably in the office, at home, on the train, on the airplane or in the morning after showering. You need nothing else but this app and your hands. Also children react fast to this uncomplicated method of self-healing. An useful app, which can be used any time at every place, no matter where you are.